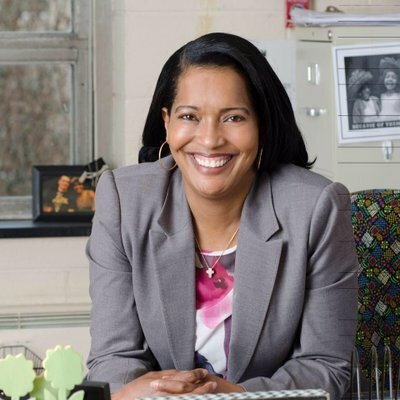 Democrat Jahana Hayes, recipient of the 2016 National Teacher of the Year Award, announced her candidacy for the 5th Congressional District (Conn.) of the U.S. House of Representatives. My decision to run for Congress is inspired by the people in my community who have become disengaged because they struggle to find themselves reflected in the narrative. People with real stories, challenges and successes that never make it into the discussion. I am running because I see myself in every student, teacher, mom, sister, daughter, friend, neighbor and stranger I meet, and their story is my story. I want to earn the trust of the people in Connecticut's 5th district and be the person to carry their concerns to Washington. In a newly released campaign video, Hayes showcases her background: She grew up in a housing project in poverty-stricken Waterbury, was raised by her grandmother while her mother struggled with drug addiction, then became a mom at 17.